The Legend of Zelda is one of my favorite franchises, so I leap at the chance to play games similar to and inspired by the series. Reverie is one of those, and SuperPhillip Central is here to kick-start your morning with a review of the Nintendo Switch's Reverie: Sweet As Edition. Ahem. It reads Sweet AS. Again, Sweet AS. 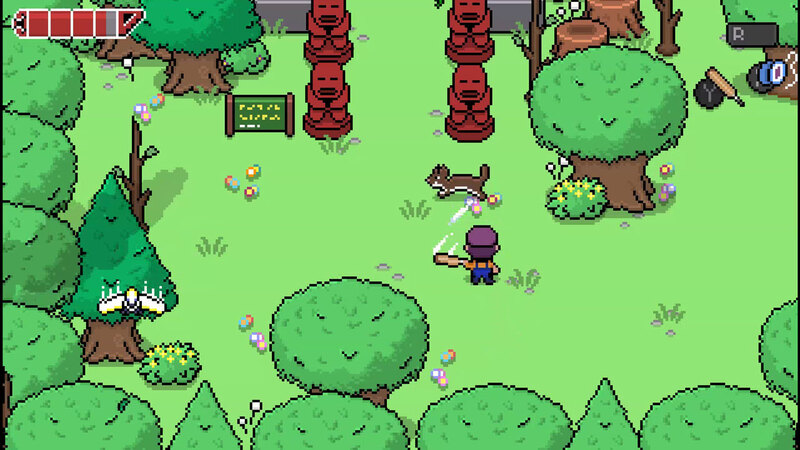 At a simple glance, Reverie is a game that has the appearance of a title with an Earthbound-like art style and Legend of Zelda-influenced gameplay. Of course, as the old adage goes, don't judge a book by its cover. 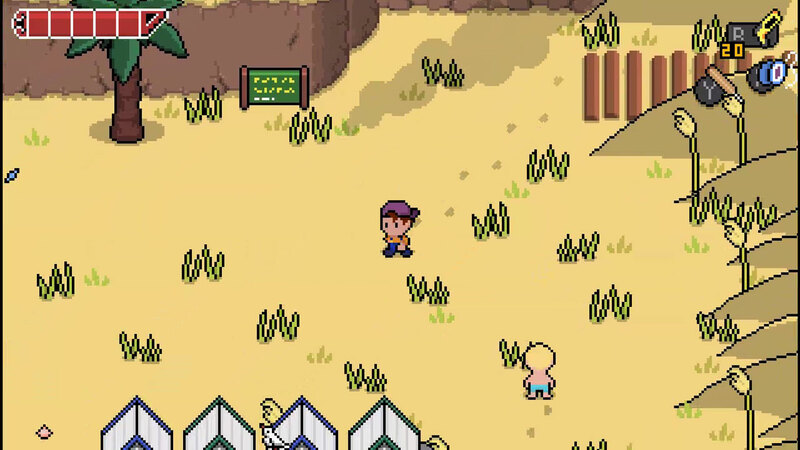 The adage would be wrong in this case, as Reverie: Sweet As Edition is pretty much a Legend of Zelda game with an Earthbound art style. However, that's not all that is to Reverie, and even it were, what's here is a stellar action-adventure--if not on the short side. 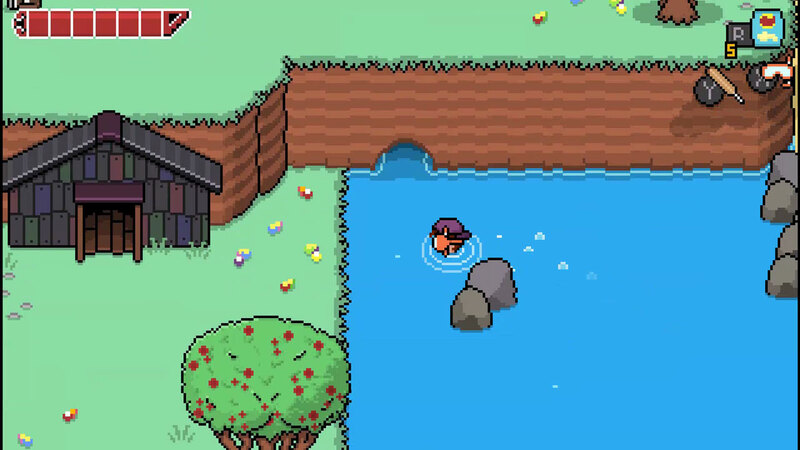 Reverie plays pretty much exactly like a traditional 2D Zelda. 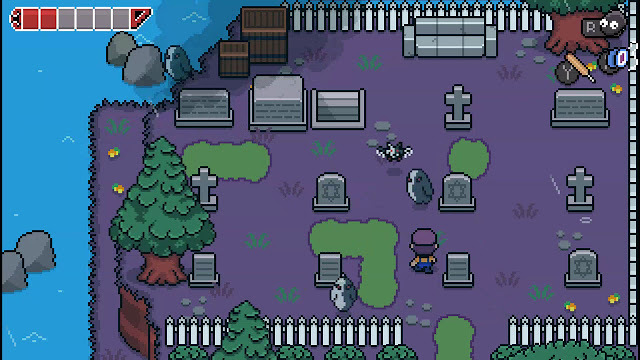 You explore an overworld, head to dungeons, defeat enemies, collect keys, open doors, find treasures, and defeat the dungeons' bosses to continue your quest. There are six dungeons within the game, and this includes the tutorial that takes place in the basement of the main character Tai's grandparents. I certainly hope the people at PETA aren't seeing this screen. Going for a modern approach, Reverie gives Tai an assortment of weapons that both are themed in the current era and themed around New Zealand, which the game's locale Tomori Island is based on. (As an aside, the game's story deals with local New Zealand legend as well.) Tai doesn't get a typical sword; instead, he comes across a trusty cricket bat to slash and strike enemies. Rather than utilize a boomerang like Link, Tai stumbles on a yo-yo, able to not only stun foes but also hit faraway switches to open nearby doors. in danger, but Tai IS on vacation technically. Reverie isn't a long game either, as it merely took me just over three hours to beat. Thankfully, there is a fair amount of side content to complete, such as post-story content like collectible feathers based on New Zealand aviary species (these unlock a new item for Tai to equip when all have been gathered), an extra dungeon--though this is merely a series of battle rooms--and a slew of in-game achievements to accomplish. I spy with my little eye... a secret cave! There's also a new difficulty that unlocks once the game has been beaten once--Nightmare mode. Coming from the normal difficulty where enemies weakly delivered damage to Tai and handed out health-restoring hearts like oxygen to the Nightmare difficulty was quite the change of pace--and a welcomed one at that. Going down in about three hits, these certainly aren't ghosts with the most. 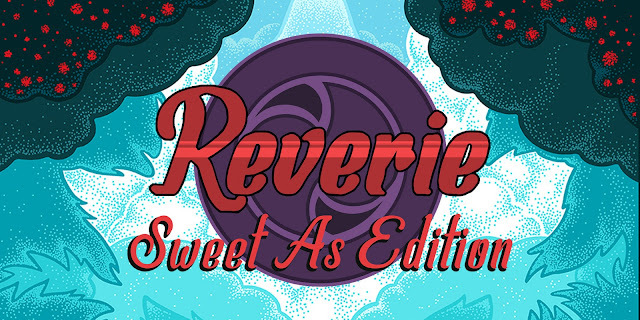 Reverie: Sweet As Edition isn't a substantial deviation from the standard Legend of Zelda formula, but it does offer a unique location and lore, atypical item variety, and most importantly, simply appealing gameplay. While the story may run on the short side, the brevity of it makes for a game begging to be played through more than once, and Reverie is one game that is worth doing so. (That Nightmare difficulty mode certainly helps things on that front.) All of this makes for a charming game that if you've already played through other Zelda-like games on the Switch like Ittle Dew 2+ and Blossom Tales: The Sleeping King or just want to play a similar title, then Reverie: Sweet As Edition is worth taking a virtual trip to Tomori Island for.